As I’m sitting here writing this article, the wind is blowing the palm trees from side to side, Spare Dog is curled up below the table, the sun is beaming down and the tiny black birds are chirping outside. Grenada has been our Caribbean Paradise for just a little over 7 months now and soon it will be time to say goodbye and move on to our next adventure. There are so many amazing things to do in Grenada, that we don’t feel like we even scratched the surface! Gotta love that view from our front door here in Grenada! 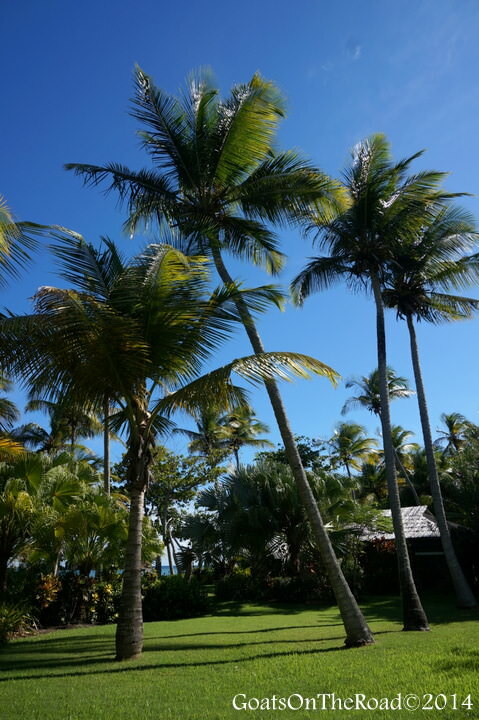 We recently wrote about why we love our location independent lifestyle, and up until living in this tropical paradise, we hadn’t given it a try yet. We had done lots of travelling, yes, but we would have never called ourselves “location independent”. We love this quote from the inspiring video below, check it out! With changes in the way people are thinking and wanting to spend their time, this way of life is quickly becoming the norm rather than the exception, which we think is fantastic. We’ve been able to sample what it’s like to work when we want to, from where we want to, and we’re totally hooked. Now that we know what it’s like to live abroad, with just our laptops to support us, we know this is the lifestyle we want to be living. ☞ See Also: Looking for an incredible accommodation option? Check out Mount Cinnamon Grenada, a boutique luxury resort on the island. We’re happy to say that our freelance writing career has finally taken off! We attribute our success to the simple fact that by laying down some temporary roots, we had the time to reach out to various online companies. During our travels when we were moving every 3-5 days or so, we often didn’t have the time to do anything extra with our website, let alone any writing for other websites. We found it hard to stay afloat with writing articles, networking and social media. 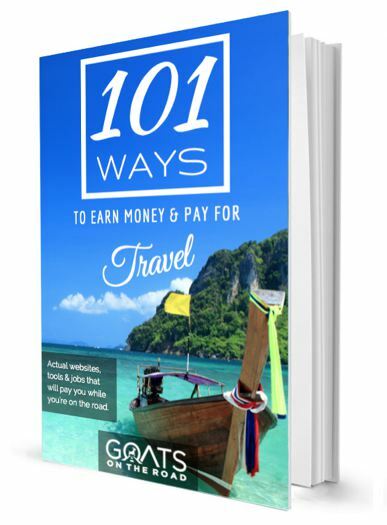 Living in Grenada has given us the chance to sit down and write great content for various sites, including Goats On The Road. 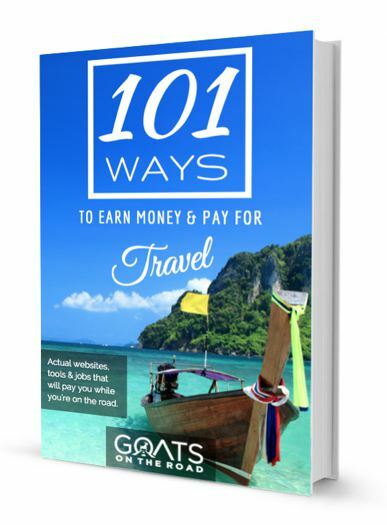 We’re very happy to report that this is now our main source of income and we earn enough money from freelance writing to travel, live a happy lifestyle and even put some money in the bank. This was the first time we had tried house sitting / pet sitting abroad. We joined the website Trusted House Sitters when we were in Uzbekistan, which was totally random! I guess we just had a feeling that house sitting and pet sitting would be what we ended up doing next. We got an amazing offer to come and take care of sweet Spare Dog on the island of Grenada. We were both thrilled. Our obvious answer was “Yes!” We were nervous at first, but as soon as the plane touched down here in the Caribbean and we met the home owners and Spare, we knew we had made the right choice in agreeing to move here. 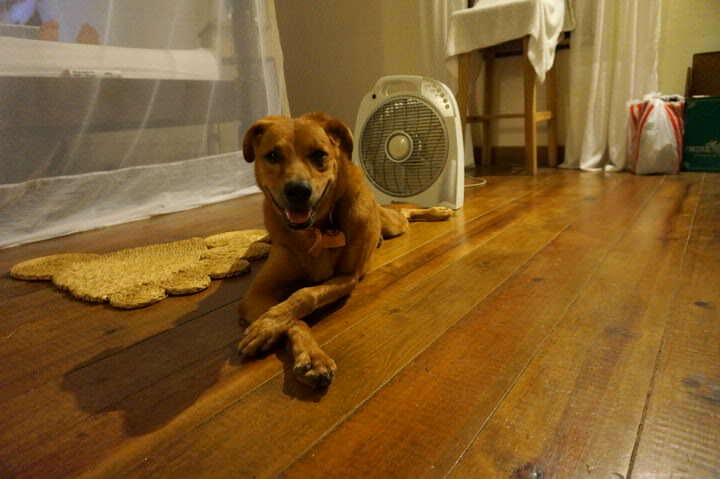 Our posh, well-mannered Spare Dog,…he loves his fan! 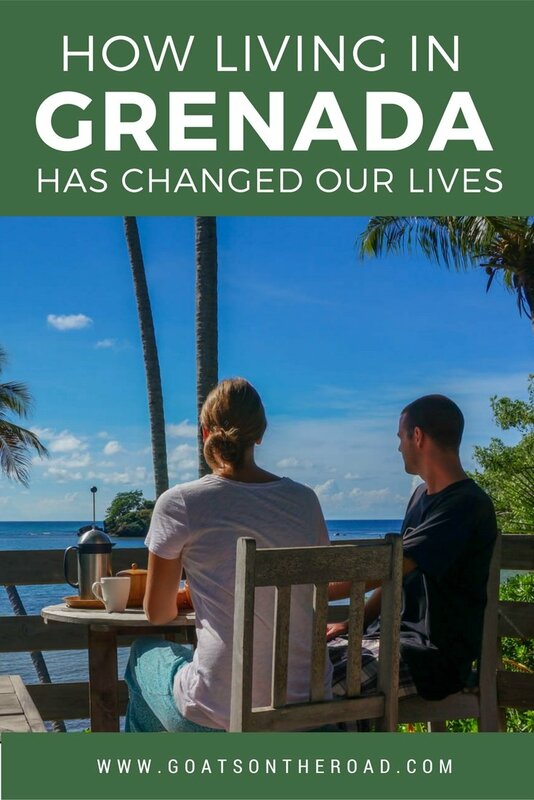 Pet sitting has been a great way for us to off-set our costs of travelling and living abroad, and with the cost of living in Grenada being quite high, not having to pay for accommodation has been a huge bonus. This type of travel has also given us a chance to live like a local and really get a feel for this country, something that is hard to do when just travelling through. We’ve also been able to have a pet! Obviously, our nomadic way of life doesn’t allow for this, so by pet-sitting, we’ve been able to enjoy the company of a dog for the last 7 months – did I mention how hard it will be to say goodbye to Spare? Click here to learn more about becoming a pet sitter. Living in the Caribbean has really made us realize that we enjoy being in quiet towns with nature nearby. It’s good for the soul and we’ve both been so happy since living here. We now know that we want to surround ourselves with peace and find serene places to spend our time. Having the last 7 months to reflect and really think of the direction we want to take with Goats On The Road has been priceless. Of course we’re still backpackers, of course we will still be travelling the world, but now we’re more about turning travel into a lifestyle. We want to show you that your trip doesn’t have to end! We plan to write more articles about being location independent and how you can make money on the road. We aim to inspire you through our stories, videos and informational articles. We also started the series GoatLife TV during our time here, and were motivated to do so by our good friend, Darryl. We think this is a great way for you to get to know us better and to see what it can be like to live a lifestyle like ours. By being a digital nomad, or working for yourself, you’ll ultimately have more free time. It won’t matter what time of the day it is, you could go to the beach! It won’t matter what day of the week it is, you could meet up with friends! We’ve enjoyed this life SO MUCH, that we just have to spread the word. It’s really not that hard to do! We’ve come to the realization that we enjoy travelling at a slower pace. Stopping to rent an apartment for a month, or house sit for a few weeks, will really give us the chance to slow down and properly spend time on our website. 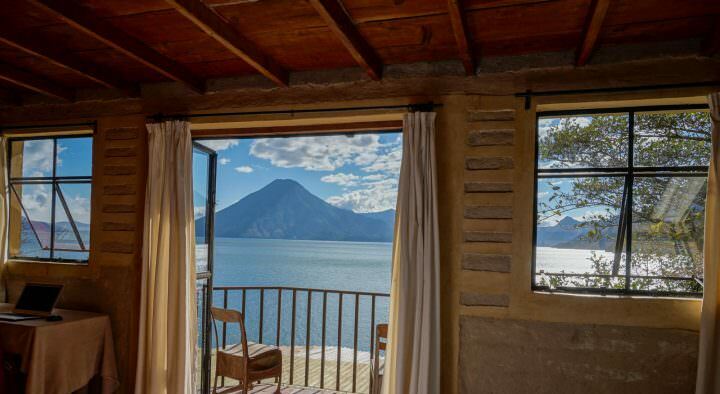 Taking it slow will also allow us to be able to connect with the people, learn more about the country we’re in (and hopefully the local language), cook some meals for ourselves and save some cash! 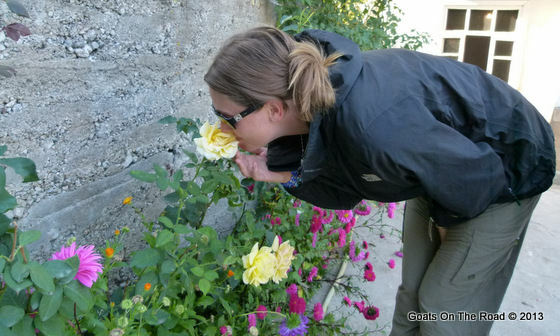 It’s nice to stop to smell the roses once in a while! Have you ever lived somewhere that totally made you change your outlook on life, the way you travel, or your business? We’d love to hear from you, leave a comment below. so happy to hear that freelance is working out for you! I have all the time in the world since I’m stationary in Goa, but don’t know where to start. Any tips? I feel like no one is taking writers or I’m just emailing the wrong people. Have you seen this article of ours? Maybe you can find some useful information in there. To be honest though, lately we’ve just been getting contacted by random magazines, newspapers, websites, etc. It’s just all kind of falling into place, you know? We’ve been able to work with some Canadian sites, so maybe you could look at contacting some that are American and pitch your angle of an American living in India? Keep at it, something will happen – you’re awesome! I am so glad you guys graduated the digital nomad class. I will hopefully join you soon enough! Living the lifestyle you want and doing things when you want to do them like as you said catching up with your friends on any given day would be super liberating! That dog is super awesome, I’m actually a little jealous you got to look after him, I’m talking to someone in Mexico about dog sitting for her and am really looking forward to it, I love animals! Thank you for the comment. You’re right, just being able to do what you want, when you want is sooo liberating! We do a lot of work, but it’s nice to be able to decide when we want to do it, you know? Oh, and Spare Dog is divine! Love him. Good luck to you and happy travels! Thanks Tim! Location independence is so amazing – we should all be able to work remotely! You might be missing Grenada….but I know Grenada is totally missing you guys as well. Man, I can’t believe how much we’re missing you guys and really hope you stick with your plan of coming back again soon. As you said in your article, it’s changed you for the better…..and I know that will happen again the next time you’re here. Thanks for the shout out…..but I learned a whole lot from you guys and was the one who really benefited. We need to have another one of our “business meetings” soon. I was born and raised in a tropical country and always wanted to know if I will survive living in a country like Canada. But you never know if you don’t do it though. And you are right, we might find those things we cannot buy like peace and relaxation! You may find the winter months hard to bear in Canada if you’re from the tropics 😉 But other than that, Canada is lovely. Thank you for the comment. Glad to hear it’s been working out so well! After previously doing our 14mth RTW trip we know this next time we want to travel much slower and become more a part of the communities we travel through. Not only will this give us the opportunity to, like you, try to actually make a sustainable income as well, but also give a sense of community that can become lacking when in constant motion. Would love any tips on how you get your freelance projects going! Spare Dog.. what a great name! I think you have the right idea, slowing down really can allow you to work on projects, meet local people and have awesome experiences that you otherwise may not be able to. You guys are living the best life! Travel teaches you so much – especially the slow, local travel where you get to interact with different people, little challenges and of course, location independent job…. I think it’s the best way to live! Thanks Renuka! We totally agree with you. 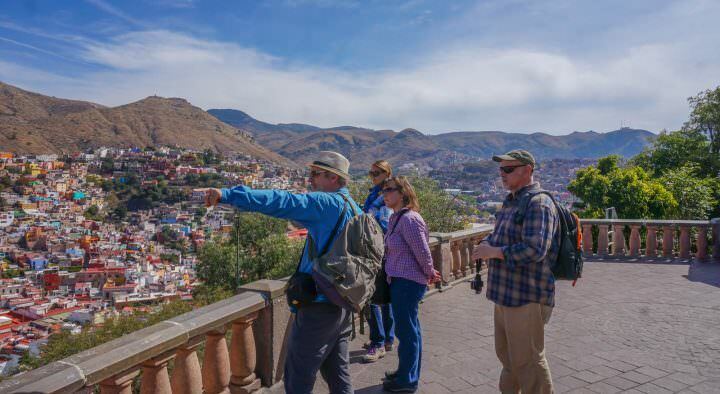 Every aspect of travel, regardless of the pace a person moves around, can really have an impact on your life. You are such a big inspiration for us! We hope to be location independent as well one day, but it is a lot of work to get there. We are definitely considering house/pet-sitting. Your petsitting in Grenada looks amazing, but I bet not all are as lucky as you guys, at least not on their first petsitting. I loved following along on your stay in Grenada, a bit sad that it is over. Where are you off to next? Another house/pet-sitting? We were sad to go as well, but have been in San Pancho Mexico for the past 2 months and are moving on in 4 days actually!